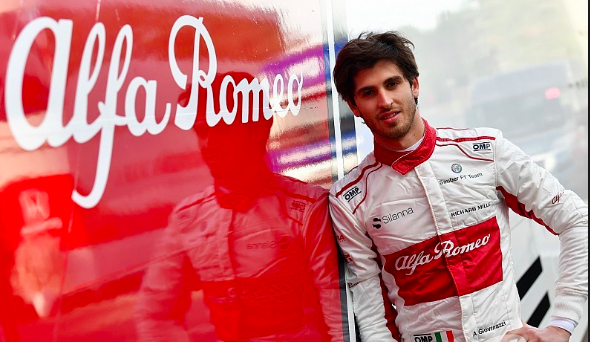 Antonio Giovinazzi needs to get going for Alfa Romeo and now! We are approaching Round Four of the 2019 F1 season with the Grands Prix at China, Bahrain, and Australia done and dusted. And so far, a lot has happened in the midfield and a lot is yet to unfold. 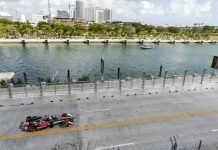 True to any climactic F1 season where the odds are often highly stacked against the favour of the younger drivers, all thanks to them competing against their experienced contemporaries, the 2019 run has seen a lot of action from F1’s young guns. 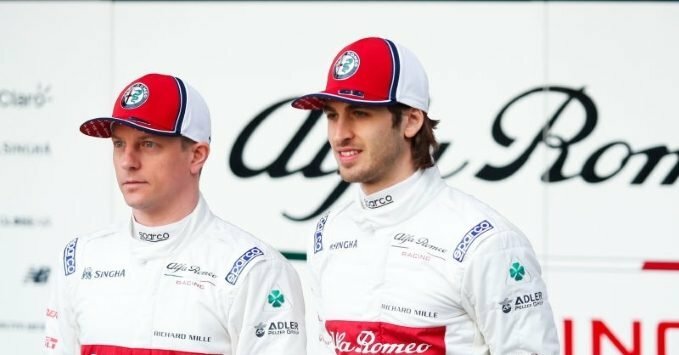 The likes of Lando Norris and Kevin Magnussen of McLaren and Haas are tied at eighth and ninth on the grid, respectively. Both drivers have collected 8 points so far. 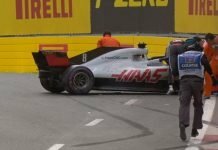 While K-Mag could do a lot better, considering his Haas seems to have a lot more in it vis-a-vis a Racing Point and Toro Rosso, it’s Norris- in his rookie season- who’s impressed a great deal. In fact, the 2019 Chinese Grand Prix unfurled something incredible in the battle for the midfield. 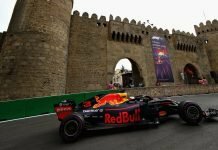 While on the one hand, Russian ‘Torpedo’ Daniil Kvyat managed to race-retire, but not before causing a few hiccups (mostly to the McLaren cars), his teammate, Alex Albon, driving only in his maiden season ended up tenth on the grid. 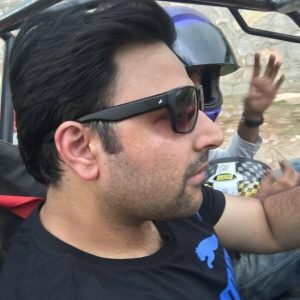 If you were looking for a spectacular drive, then this was it. How often is it that one finds a bloke on the point scoring sheet having begun from the pit-lane? 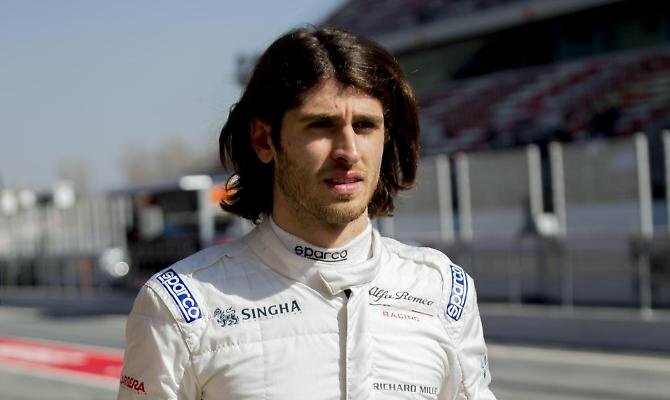 But the above told, where does Alfa Romeo’s Antonio Giovinazzi stand? The 25-year-old Italian driver finished fifteenth in Australia, eleventh at Bahrain (his best F1 finish till date), and fifteenth at China. With three races done, the Alfa Romeo driver hasn’t yet reached into the top ten on the grid. So it doesn’t require one to be an Einstein to figure what this means. Giovinazzi’s score-sheet currently reads 0. However, his Hinwill-based team stand fifth on the Constructor Standings, currently joined with Renault at 12. This, Antonio Giovinazzi, would do well to note is all thanks to his teammate, Kimi Raikkonen‘s effort. The Finn, the oldest on the grid, now approaching 40, has been doing all the scoring for the side, thus far. To that end, what does Antonio Giovinazzi- a self-confessed Raikkonen fan- have as a plan? But while expecting a young driver to win a Grand Prix in his maiden year is a bit like asking an untrained teenager to operate a ballistic missile, Antonio Giovinazzi’s case is a bit different- is it not? And yes, so far, he’s only driven on 2 previous occasions in Formula 1, one each at Australia and China in 2017. But what can’t be denied is that on both occasions did the Italian driver, schooled a the Ferrari driver academy, was unable to score. 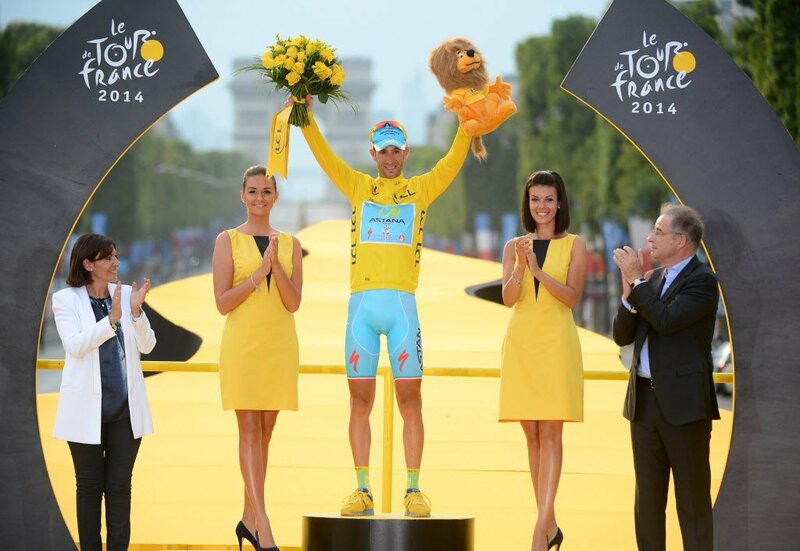 Yet, for someone who’ll be glad to score his first points in Formula 1 and who knows,if that could be at the Azerbaijan GP (28 April), perhaps the earnest Italian would want to draw some inspiration from his own past form. 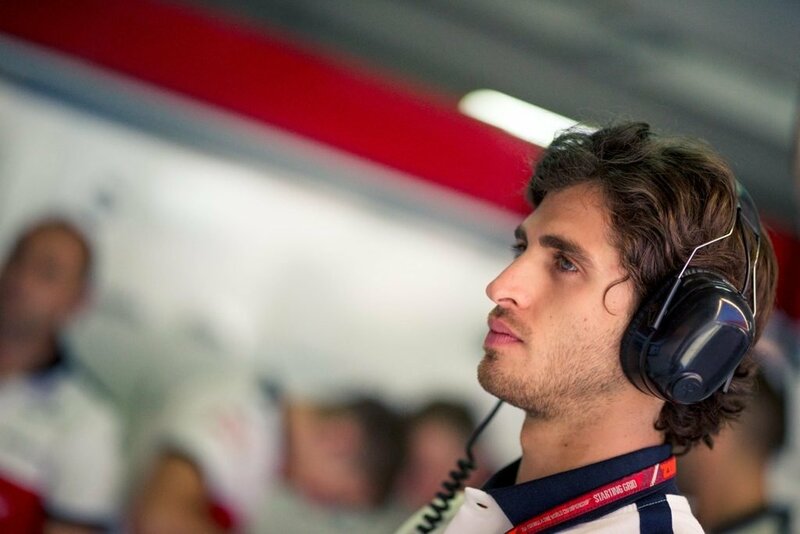 At the 2017 Australian Grand Prix, Giovinazzi, then partnering Marcus Ericcson began from sixteenth on the grid and ended up on twelfth. He would finish ahead of the Swede, who retired unfortunately due to a hydraulics failure. This was, then, Antonio Giovinazzi’s personal best, but obviously. But immediately upon the completion of the 2017 Chinese GP, the young talent’s F1 run in his debut year would meet a truncated run considering that Pascal Weherlein would return from his injury to resume his duties. 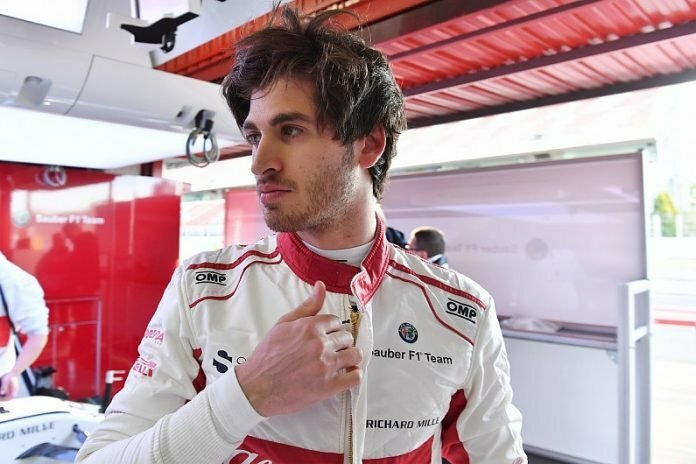 But it didn’t help that at China, Giovinazzi was gutted as he failed to proceed beyond Lap 3 where a collision brought a premature end to his run. That told, with some racing experience against his name, the 2016 GP-2 Series runner-up has a brilliant chance to make it count at Alfa Romeo, his first full-length racing squad. And to be fair to the Martina Franca-born, he’s got a great co-driver in Kimi Raikkonen, someone Antonio Giovinazzi himself says he’s grown up admiring. With 18 races ahead of him and a lot of points up for grabs, what the young driver would do well to remember is that in C38 there’s also a fine machine to get going. It may not be a beast like a Mercedes but it is, in As seen at the recently-concluded Chinese Grand Prix, it was heartening to note that Raikkonen, who began from a lowly P13 on the grid ended up ninth, thus collecting 2 valuable points for his side. Probably it’s about time that Antonio Giovinazzi either turned himself into a Robin to Raikkonen’s Batman or quite simply, began to fly on his own. Either way, it’ll help a racing side that’s eagerly scoring points in the midfield.